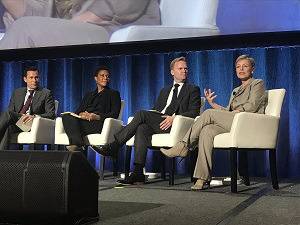 NEW YORK – Against a backdrop of young people who communicate in fewer words and more pictures, and with young people of color continuing to avoid study abroad more than their counterparts, about 600 educators, students and administrators came together Sunday through Tuesday to share ways to promote and boost global education. The group took part in roundtables and panels as part of the 100th anniversary summit of the Institute of International Education, a New York-based organization that administers the State Department’s Fulbright Programs, the Ford International Fellowships Program and language programs through the Department of Defense. Attendees at the summit said it is important for young people to see the world, study in it and work in it because it promotes self reliance, better understanding and better prepares students to work in a world getting smaller and more connected by the day. These discussions were perhaps more pointed for attendees of color, who themselves have benefited from study abroad, from global travel overall, and said they are constantly pushing young people to consider travel to another country, no matter their means. Global study and travel for Black students in particular helps them have not only a broader perspective on their own complicated ancestry tied to the slave trade, but also develop confidence and self reliance, said attendee Andrew Gordon, founder and president of Diversity Abroad, an organization based in Berkeley, California, that connects students in underrepresented groups to study overseas. “Any time you’re away from your support network and you’re put in an environment that is unfamiliar, you learn to navigate and that builds your confidence,” said Gordon, who took part in study programs in Mexico and Spain as a student. As a Black male who grew up in an entrepreneurial family in the United States with a mother from Oakland and a father from Arkansas, Gordon said he found his travel experience was also valuable to help people in other countries understand how the slave trade created a disconnect between Black Americans and their true roots. “It’s hard for me to explain what I felt but it helped me appreciate the impact of slavery and made me want to explore more of the world,” he said. 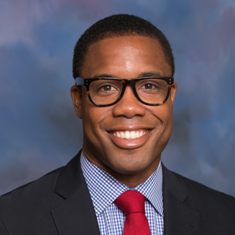 Kevin Simpson, founder of an organization that promotes mentorship and global education, said networking among people of color in the global education and business space is important for support and sharing ideas. Networking also helps larger under organizations see and understand their presence, said Simpson, who was volunteering at the summit. The consultant is the founder of KDSL Global, based in Dubai, and he splits his time between there and Los Angeles. He believes sometimes his presence at events, if nothing else, can help instill in others the notion that Africa – including Middle East/North Africa, or MENA – is part of the global education and business discussion. “I think a lot of times the discussion is insuring that its not just Middle East focused — when we say MENA make sure we include MENA,” Simpson said. The consultant said that he wants young people to understand that this experience can be for them too. He first began considering international work and study when a colleague at Michigan State University, where he attended graduate school, mentioned he was returning to London when his work at the school was done. Attendee P. Aurora Robinson, an architect and an educational counselor at Pratt Institute in Brooklyn, N.Y., said that as a student, her world and way of viewing her visual work opened up when she spent time studying in the Tuscany Valley in Italy while enrolled at Kansas University. She traveled across Europe the rest of the summer, she said. Because of this experience, she said she tries to instill in her students, many of whom are first-generation higher education students, that study abroad can be within their reach, no matter their means. She said she was at the summit to see if there were ways to introduce her students to study abroad situations. Right now, she said, they only have exchange programs open to them. She tells her students that her first employer told her she stood out because she’d traveled. One topic woven throughout the summit was the practice of virtual education as apps such as Zoom and others allow people on opposite parts of the world participate in the same class or educational sessions. 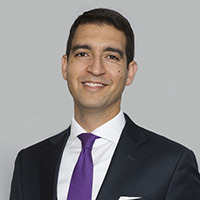 Mohamed Abdel-Kader, executive director of the virtual education Stevens Initiative with the Aspen Institute, and deputy assistant secretary with the Department of Education under former President Obama, said virtual education can help expose students to global experiences that might otherwise be open to them. The topic became the focus of some debate, with one argument being that some marginalized students will never have the opportunity for global travel and others warning that a virtual experience is not the same as a real one. No matter how students receive the message that global education will expand them, educators must also stress that it will not be a life of globe hopping and that they must focus on what specifically they want to do, Mark Overmann, vice president of external affairs with InterExchange, said during the summit. InterExchange administers student exchange programs and works with the State Department. “I think there’s this sort of vague notion that it’s going to be glamourous,” Overmann said. This is the 4th year of the summit, said Catherine Morris, a spokeswoman for IIE.